The current political moment demands increased clarity and focus from progressive forces. To meet this demand, this summer CPD launched a series of 6 network-wide conversations titled “Building Our Network.” Representatives from our 50 affiliates across the country are invited to join these 90-minute phone conversations that dive deeply into critical questions about our shared methodology, vision, and medium and short-term goals. For a federated network that is just over a year old, taking on the essential work of articulating our collective identity, goals, and trajectory is no easy task. These calls are a means of making sure that the strategic insight, experience, and needs of our affiliate organizations shape the resolution of these important questions. 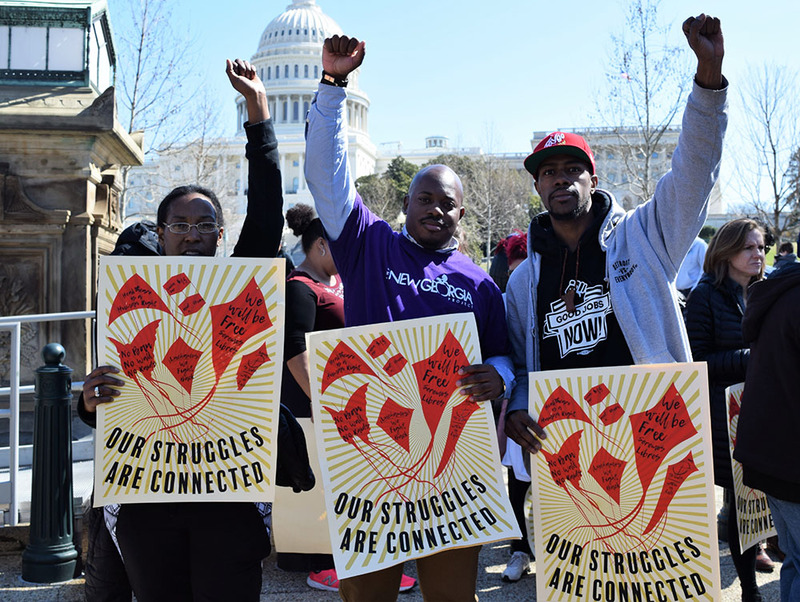 The calls serve as a means to connect, hear from each other, and share common vision -- rooted in our communities and expressed on a national scale. The conference call tactic is simple, but the core purpose is ambitious. CPD aims to have our entire organization (affiliates, boards and staff) engaged substantively in developing a five-year strategic plan, a federal policy agenda, and a long-term vision of the society we wish to build. Thus far, these conversations have been helpful in informing CPD national staff about the views and priorities of our partners, and allowed partners hear one another’s perspectives, challenges and aspirations. If you are interested in joining these calls, please reach out to Stephanie Yazgi, CPD’s Director of Capacity Building.